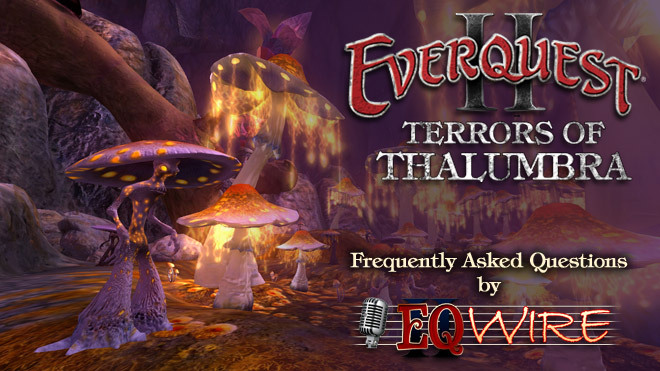 EQ2Wire Asks: Replace or Upgrade? 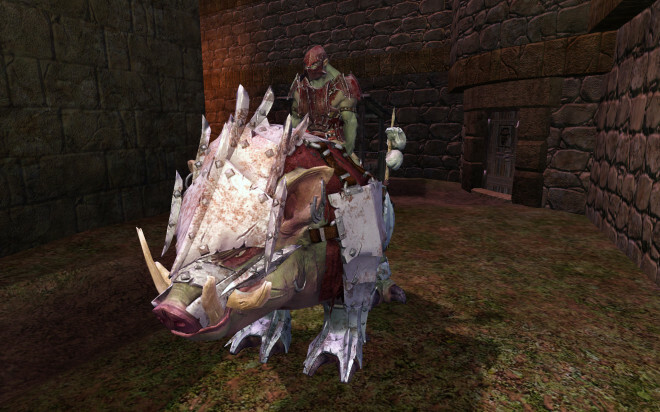 The purpose of New Content in any MMORPG is to provide additional length to the “treadmill” so that players who revisit heroic dungeons or raids always have new things to do. New zones provide new rewards that raise the bar and keep that loot chase going. It is totally expected that when a new content update or expansion is released that previous items will be trumped by new ones. However we’ve seen something new and unexpected since the release of the Terrors of Thalumbra expansion. In an update on January 20th, existing Weapons and Jewelry items were removed from the loot tables of current enemies in raid zones and then newly upgraded Weapons and Jewelry items were added. These new weapons and jewelry had new names. In an update on February 17th, existing Armor pieces had their Crit Bonus and Potency slightly upgraded, then removed from loot tables while newly upgraded Armor items were added with hugely upgraded Crit Bonus and Potency. This new armor had the same names as previous items. There is no doubt that the Terrors of Thalumbra raid gear at launch was hardly worth getting out of bed for. Clearly something had to be done to itemization and we’ve been assured that this was the best way to do it with the time available. However there are several concerns with this approach of replacing rather than upgrading items inline. Within the cavernous depths of Thalumbra, uncounted creatures cloaked in mystery lie in wait for the unsuspecting adventurer. 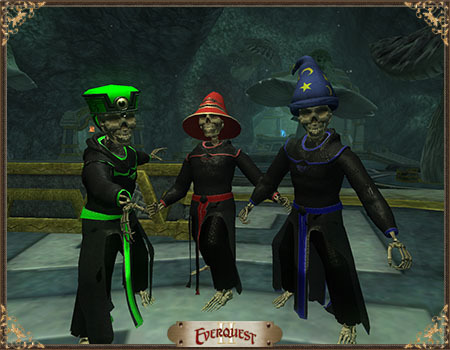 Adversaries range from crafty gnemlin outcasts whose creations have grown out of control, to ancient beasts of indescribable terror unlike any ever seen on Norrath’s surface. Raids range in difficulty, ensuring everyone from entry level guilds all the way up to the most seasoned raiders will have plenty of challenges in store for them throughout the Terrors of Thalumbra expansion! Investigate the laboratory of a nearly mad gnemlin by the name of Bhoughbh who has taken over a portion of Maldura and needs your help cleaning up the mess he has made. His creations are running amuck and only you can help him pick up the pieces. Help him right his wrongs and get him back on the path to becoming one of tinkering’s greatest minds. This x2 raid zone is meant for 2 full groups! The border between the plane of Underfoot and the mortal realm is often hard to define. Deep within the wilds of Thalumbra, the Stygian Threshold is one of those rare locations where a gate to the Underfoot exists permanently. Such close proximity to Brell’s realm has had strange effects on the adjacent region. So it used to require a subscription for Banned EQ2 players to keep playing on the EQ2 “prison server” of Drunder. Not after today. Alas, there’s no way to get a sense of how many players are on Drunder. Census currently hides this information. SOE’s policy used to be “no Naming and Shaming” but in the last year or so the PlanetSide 2 and H1Z1 teams have no problem drawing attention to banned players, even mentioning them BY NAME in-game using server announcements. The question is, would players banished to Drunder take this as another opportunity to seek attention? It looks like we can expect two hours of downtime for US servers for today’s update, presumably some housekeeping to get ready for the Server Merge/Migration. Today’s downtime also coincides with a Daybreak-wide maintenance which will take two-to-four (or more) hours. Daerial’s Underfoot Portal will now be passed on to a new player once the previous one is rendered inert instead of despawning. Cazic-Thule’s Touch of Fear spell has had its range lowered to his island only. An Eye for Power – Frosthorn minotaurs have returned to the Jagged Plains in Everfrost, despite the Sundered Ground nearby. The Rare Drop Merchant for Altar of Malice can now be found in the Phantom Seas! The stone adds in the Brell Serilis encounter should no longer kill pets unless directly attacking them. Sturdy armor molds will no longer refuse to grant the quest for players that did not have enough city faction. The passive effect for Finsher III now grants potency, instead of offensive only potency. A merchant selling rare heroic drops from the previous expansion’s dungeons has been a late-summer mainstay over most of the last 6 years. The purpose of these vendors is to somewhat level the playing field for those players who have had rotten luck with the dice. Yet every year this vendor has been added, certain desirable rare items are left off, while other seemingly common items make an appearance. The prices also tend to be a surprise, with some item costs being completely out-of-whack. Update Notes: Tuesday, September 8, 2015 — Missing Guild Leader Voting! If you are a guild Officer, you may now use the command /initiate_guild_leader_vote to initiate the guild leader voting process if your guild does not currently have an active guild leader (no leader has not logged in within 60 days). Anytime during the voting process, if a leader logs in they can cancel the voting process using the command /cancel_guild_leader_vote. The door should once again allow entrance on non-TLE servers. Corrected issues that caused some cruxes to be taken without spawning the avatar. A new Avatar will begin to make an appearance within the Precipice of Power! Brell Serilis will now spawn as a normal contested encounter! He will not require cruxes and will have a respawn timer once killed. 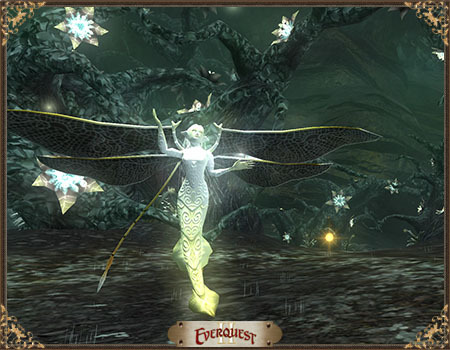 Collectibles in the Fabled Echoes of Faydwer dungeons will now lock you to the instance when looted. You can now click Valdoon while he’s giving his speech to initiate combat sooner. The werewolf guards at the entrance should now have the intended amount of health. Corrected the spell description for the solo and raid versions of All for One, they now correctly say 48 to 148 potency for the solo version, and 58 to 158 potency for the heroic version. Icons on the bottom fragments of Ydal now know left from right. A Quarter of the Ankh of Ydal items will automatically convert to the new collection piece versions. Fixed a bug with the ability mod of Paingiver’s Gloves. Altar of Malice Armor fragments and Armor Upgrade gems may now be sold for status. Lore and Legend items may now be sold for status. Slaughterer’s Boots now have the correct spell weapon damage bonus, and weapon damage bonus. Kelzaral the Animator should be much less destructive. Moved armor drops from Treyloth to Othysis. Moved accessory drops from Makonis to Treyloth. Makonis will now always drop 2 armor pieces. You can now combine two cruxes from the same boss drop table to form the other from the same drop table by examining the cruxes. The effect “Bolstered Block” can now be triggered by using “Blinding Dust”.